Throughout my long career in ocean racing I was always preoccupied with the well-known axiom “you have to finish to win.” This implied no major breakdowns of equipment and sails were certainly part of that equation. The longer the ocean race, the more critical this rule became – wear and tear, and risk of gear failure goes up as distance sailed increases. This is easy to understand. Less evident is in a long race like the Volvo Ocean Race (formerly the Whitbread Round the World Race) is that gear failure has further reaching consequences with regards to sponsors’ interests and personal reputations. Teams have to eliminate the possibility of a major failure, or at least mitigate it as much as possible. Another way of looking at it: spend as much as your campaign budget allows on contingency measures. Failures of rigs, keels, and rudders would mean retirement. Not much to do about that. Consumables, such as running rigging, blocks and shackles, and, of course, sails, are a different story. When these fail, the show must go on. 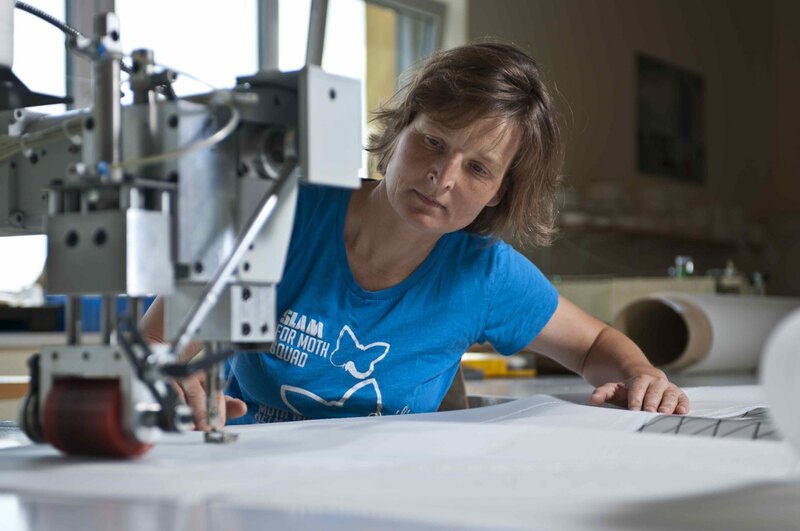 Years ago when polyester (Dacron) was the standard for offshore racing sails, the only solution for significant damage was to carry spare sails and have the ability to make running repairs with a carry-aboard industrial sewing machine (at least for the light canvas). 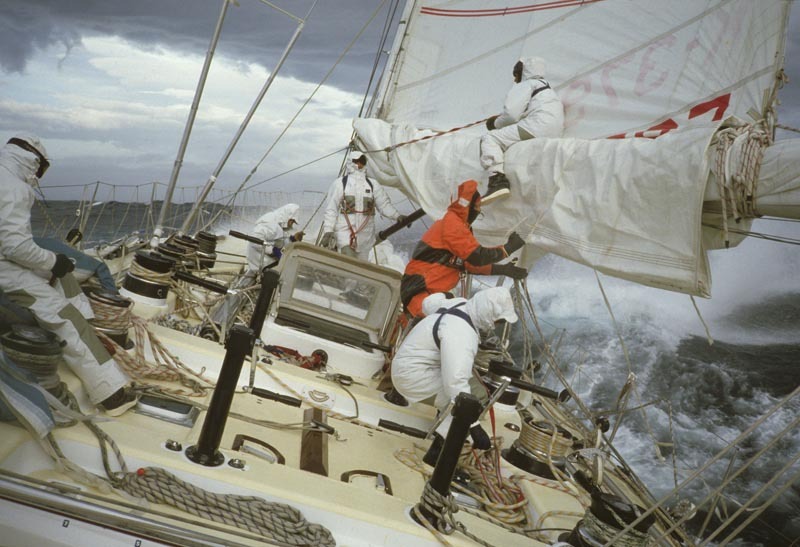 On ‘Drum’ in the 1985 Whitbread we carried a spare mainsail, and because we didn’t trust the then revolutionary Kevlar of our new no. 3 jib, we carried a spare of that as well! These were big sails that didn’t budge when tacking from rail to rail or when hauling out of the hatch from below without six to eight strong guys pulling on them in unison. It is an accolade to the marine industry that these mitigating tactics of old, which meant crews had to carry an inordinate weight, are history. The reliability of modern cordage and fabrics, and not least of all modern construction techniques, mean few, if any, spare sails are now carried in an ocean race. 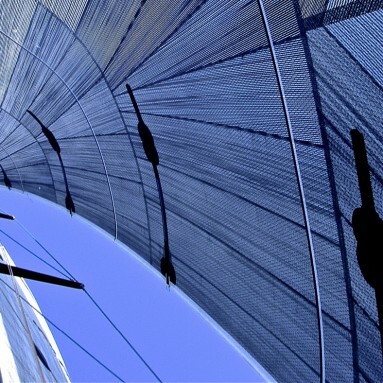 The peace of mind gained from knowing that you are using lighter sails that are stronger, not to mention with a better designed shape, makes for better racing and cruising alike. This advance has had a significant impact on the sport of sailing. That old philosophy of being prepared to an extreme extent, i.e. ‘over kill,’ certainly transcended into my high-latitude expedition sailing career, which overlapped with my offshore racing experience and then superseded it. When we started sailing my first ‘Pelagic’ vessel down south in 1987 we went through the same painful moments (made worse as I was personally bearing the cost) when lines were trashed and sails blown out due to mishandling in high winds or overexposure to UV rays. In the early days, as we operate habitually in remote areas with no chance of a loft repair, we always had the tendency to over-build the sails. My solution was to specify very heavy fabrics and robust detailing that the average boat owner would not bother with, nor be willing to pay their sailmaker for. For example if three rows of stitches on seams were good, four must be better, right? And then why don’t we cover those seams with a sewn-on anti-chafe strip? The sailmakers didn’t necessarily agree with this approach, but they saw me less often year-to-year as a result. The drawback of specifying polyester fabrics (Dacron) of course was the shape these fabrics grew into. On a fully battened mainsail this is less of a problem than on a polyester headsail in that, no matter how you build it, over time the draft would move aft and the sail would become more of a heeling lever than a driving force. I accepted this handicap for many years for the sake of longevity and cost, but recently changed to use a custom-made laminate string sail from Ullman Sails. Although polyester fabric is still a valid solution for budgetary concerns for many sailors, there is always that price to pay for lack of performance. Surprisingly for us though, it’s not in light air conditions that we get the most significant performance boost from the new sails, as might be expected. 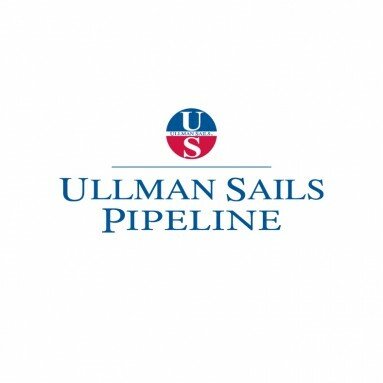 My new suit of Ullman Sails Voyager Series FiberPath Enduro sails are an eye opener when the going gets heavy. We can keep our headsails unfurled longer as the wind comes up and there is noticeably less heel. So far these sails have sailed for 1,720 hours (the equivalent of 71 days of continuous use), done two Atlantic Ocean crossings, four Drake Passage crossings (from Cape Horn to Antarctica), travelled approx. 23,000 miles (the earth’s circumference is 24,901 miles) and sailed in weather as cold as -8C and in winds as high as 60+knts. As they continue to go the distance over time (which we expect they will and are keeping meticulous track of), then this formula for using a FiberPath inventory becomes a ‘no brainer’ for the more adventuresome cruiser or high latitude sailing. While I am no longer doing long distance ocean racing, the old adage “you have to finish to win” still rings true in what I do today. Advances in sailmaking alone have meant that more people are finishing races and accomplishing what they set out to do on the water. More durable and higher performance sailing – not just for my expedition boats, but for everyday sailors as well, is now the norm.